The FBI announced on Friday that it has apprehended Roger Thomas Clark, who it believes went by the alias “Variety Jones” and acted as a ‘senior advisor’ to Silk Road creator Ross Ulbricht. A press release from the US Attorney’s Office states that Clark was arrested in Thailand on December 3. The Canadian citizen is being charged with one count of narcotics conspiracy which carries a maximum sentence of life in prison, and one count of money laundering conspiracy, which carries a maximum sentence of 20 years. 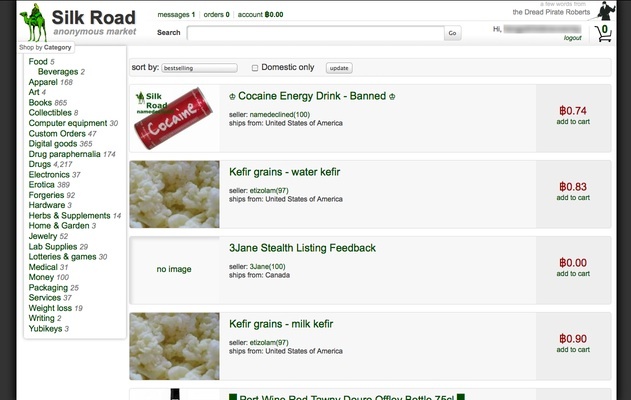 Silk Road was a secret online marketplace for illegal drugs, hacking services, and a whole host of other criminal activity. Like a consigliere, Roger Thomas Clark allegedly served as a trusted confidante to Silk Road founder and operator Ross Ulbricht, advising him on all aspects of this illegal business, including how to maximize profits and use threats of violence to thwart law enforcement. Thanks to the investigative work of our fellow law enforcement agencies and our international partners, Clark is in custody and awaits American justice. Clark further advised Ulbricht on how to conceal his involvement in, and hide his profits from, the operation of Silk Road, including helping Ulbricht devise cover stories to tell others and make plans to obtain foreign citizenship and offshore bank accounts. … Clark also advised Ulbricht on tactics to thwart efforts by law enforcement to investigate Silk Road. In that vein, Clark repeatedly advocated the use of intimidation and violence to keep members of the Silk Road support staff from cooperating with law enforcement. Clark was paid at least hundreds of thousands of dollars for his assistance in operating Silk Road. Silk Road launched in 2011 in what’s called the Dark Web, or the shady underground of the internet. It operated as a Tor hidden service so people could browse it anonymously and order illegal drugs, steroids and assassination services using Bitcoin. In February, founder Ross Ulbricht was convicted on seven conspiracy charges in February and sentenced to life in prison.